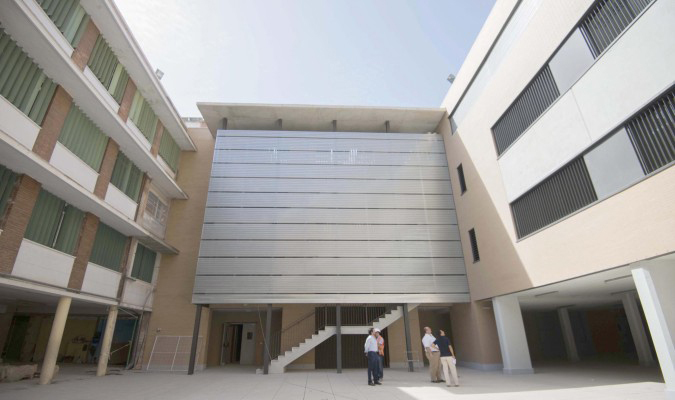 After an acustico-arquitectonico study, Mimmo decided to optimize the teaching centre infrastructure using technology Work Pro and Mark Pro. 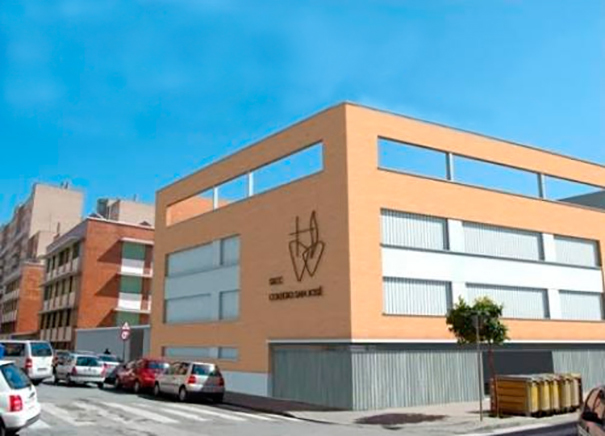 The company Seville Mimmo design and events It has optimized the installation of audio theatre located at the colegio San José de los Sagrados Corazones, known as the white fathers. For their accomplishment, Mimmo had to perform an acustico-arquitectonico study for the choice of the material to install and to determine its location, opting for the technology of Work Pro Y Mark Prowhose brands represented Equipson, for this project. For the interior space of the theatre has been used the system line array Work Pro Arion 5, riding on each side 4 boxes flown SL 25, each one with the inclination particular to optimise the addressing of the sound towards the Viewer, offering the maximum coverage of sound and intelligibility. 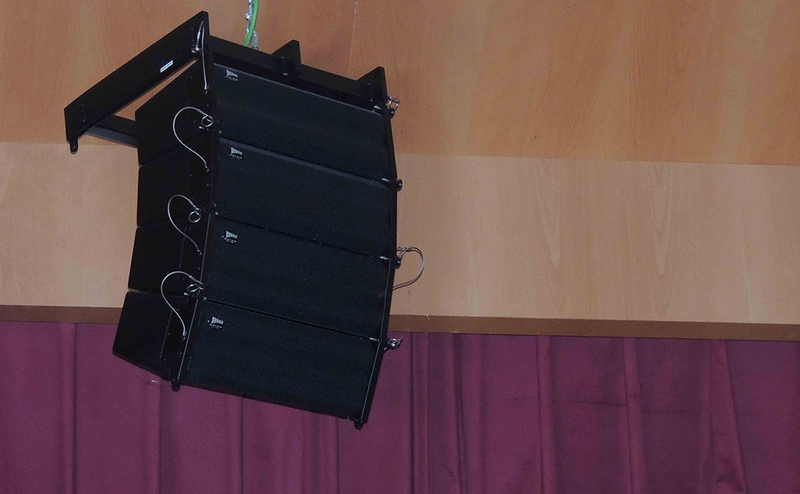 For reinforcement of the whole, the team has two units of the subwoofer SL 115 SA. The set itself is powered, riding a tri-amplified module with an efficient processing of the signal by the internal DSP. The DSP has been designed to optimize each of these bands with proper filtering and equalization settings allowing the maximum performance of the transducers. Its configuration is performed by software and, apart from precise equalization, featuring three additional positions for other settings. This system saves the need for wired desktop microphones, placing the receiver next to the mix and amplification system, setting up a discreet and functional system. The receiver incorporates 2 LCD screens, each of which show the frequency and 2 of channel state information. The school also has four WRD 1100 UHF Wireless systems AF. The AFS system is used for the synchronisation between microphone and receiver channel. The receiver is capable of tuning in 99 different channels. The selection of the channel and the associated frequency is in the receiver, synchronizing the MIC thanks to the IR signal. As for the lighting of the theatre and Mimmo design events decided to install 3 units of the canon of tracking WFS 1200 1200W for the scenario. It includes 3 filters colors CMY (Cyan, Magenta, and yellow) to obtain different shades of color. It also has 1 Filter color temp (3 200 K) and an Iris that allow to expand its possibilities. The unit incorporates remote external focus and direction of sturdy handle. It also includes a so-port of great firmness with folding legs for fixing and handling of the canon.